Rambo has been raised by his mother and is used to coping on his own when mum is depressed. He has a short fuse but a vivid imagination, and in school he avoids the company of those who are better off. Getting to go to mum’s boyfriend’s parents’ cabin brightens up the summer holidays. What a paradise: structure to the day, meal times and the most warm-hearted hosts you could imagine! The peace is broken by cocky Liina’s arrival. On the surface it would appear she’s doing just fine, but is she any happier than Rambo? 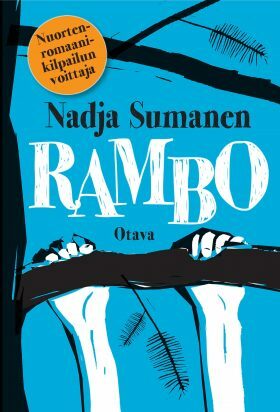 Nadja Sumanen’s depiction of her characters spans three generations and is so warm and moving it’s a shame to part with the characters at the end of the novel.